December 5, 1998 Toronto Maple Leafs vs Montreal Canadiens. 4-3 win. January 12, 1999 Toronto Maple Leafs vs Tampa Bay Lightning. 4-3 win. January 13, 1999 Toronto Maple Leafs vs Florida Panthers. 3-3 tie. January 16, 1999 Toronto Maple Leafs vs Philadelphia Flyers. 4-3 win. January 28, 1999 Toronto Maple Leafs vs Pittsburgh Penguins. 0-6 loss. The Toronto Maple Leafs selected goalie Francis Larivee with their second round pick of the 1996 NHL entry draft. The QMJHL prospect was later signed to an entry level deal. 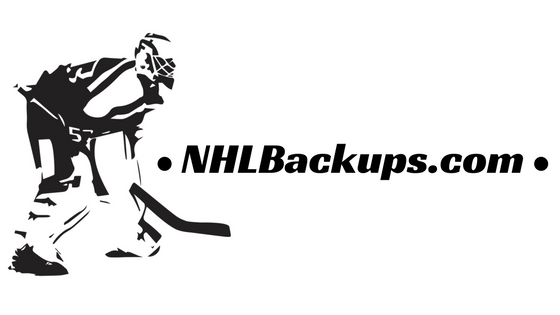 In the summer of 1998 the Toronto Maple Leafs signed free agent goalie Curtis Joseph. It would prove to be a great move for the Leafs but at the time it left fan favorite Felix Potvin, who had backstopped the Leafs through most of the 90s, in a difficult position. Potvin would not accept the role as a backup and demanded a trade from Toronto. By December, he was still a Leaf and so unhappy that he decided to leave the club on his own accord. With the situation not completely clear the Maple Leafs recalled Francois Larivee as a precaution. It would prove to be a smart move as Larivee was needed to dress on December 5th. Veteran netminder Glenn Healy was recalled the next day to serve as Joseph's permanent backup. Just over a month later Larivee was once again summoned to backup Curtis Joseph. Glenn Healy was suffering from a sprained knee. After just three games with the Maple Leafs Francis Larivee was sent back to the minors in favor of a more experience backup in Jeff Reese. He was briefly recalled late January to serve as backup to Reese in 1 game. 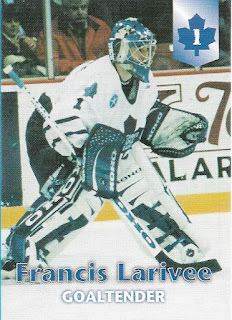 Larivee went unsigned by the Maple Leafs after the 1998/1999 season and then retired just over a year later. He returned to the game in 2003 to take up a career in France. He played low level pro hockey in the country for seven years before becoming a coach in Meudon, a position he holds as of 2013.